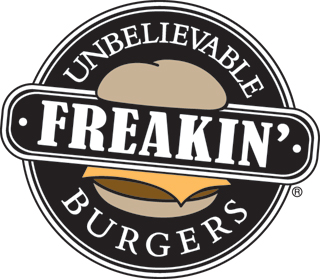 Freakin' Unbelievable Burgers® is an explosive fast-casual concept that is raising the bar and lowering prices for diners who just want a truly better burger. It's that simple. Conceived by experienced national chain franchisees with more than 40 years in the fast-casual and full-service industries, Freakin' Unbelievable Burgers® is designed around the shortcomings and lack of options from the “other guys." Qualified candidates will have a minimum of $100,000 in liquid capital to invest and a net worth of $250,000 for single unit operators. We keep our royalties at a low 4% to ensure you are able to reinvest and grow your business. Whether you are a seasoned restaurateur or new to the game, Freakin' Unbelievable Burgers® has the support you need to make your franchise successful. As experienced operators, we understand the importance of information and communication. Therefore, we have developed systems that will track, improve and maximize your profitability. You'll receive full operational, marketing and purchasing support before, during and after opening your restaurant. Our training programs include six weeks of pre-opening training as well as our Freakin' Opening Training Team on site to ensure you're location has a Freakin' Unbelievable grand opening. Ongoing product and menu development for national and regional flavor preferences, development of local marketing plans and materials specific to your region are not just available to you but are part of the Freakin' Unbelievable Burgers® system.